GMB Akash has received dozens of international awards and his work has been featured in publications worldwide including National Geographic, Vogue, TIME, Sunday Times, Newsweek, GEO, Stern, Der Spiegel, The Guardian, Marie Claire and The Economist. He has travelled to more than 50 countries and in 2002 became the first Bangladeshi photographer to be selected for the World Press Photo Joop Swart Masterclass. Since then he has received the Young Reporters Award from the Scope Photo Festival in Paris (2004) and a World Press Photo award (2006) and released his principal photo book 'First Light'. 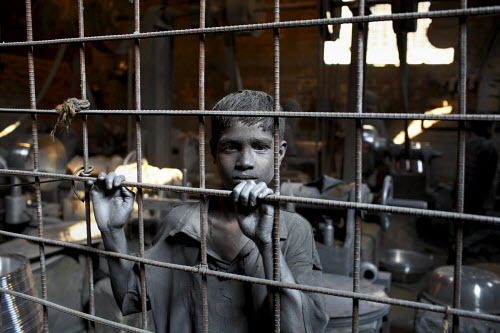 In 2007 he became the first Bangladeshi to be selected for PDN's 30 Emerging Photographers. He won the 7th Vevey International Photography Grant from Switzerland in 2009 and was named 'Travel photographer of the Year' at the International Travel Photographer of the Year Competition in the same year. Akash leads workshops on documentary, street and travel photography. He is the founder and managing director of First Light Institute of Photography based in Dhaka. He has also conducted workshop in India, Switzerland and Italy. Akash has been a speaker at numerous international events such as the fifth Global Investigative Journalism Conference, held at Lillehammer, Norway in 2008, TEDxOporto in Porto, Portugal and the 7th Forum of Emerging Leaders in Asian Journalism in Yogyakarta, Indonesia. 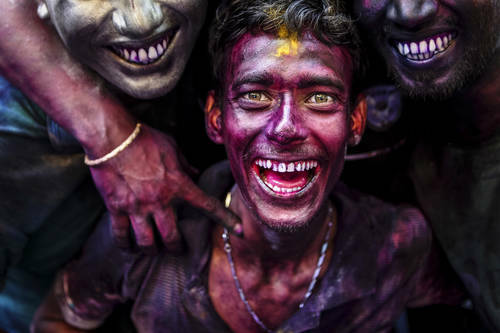 In 2011 Nikon chose Akash as one of eight influential photographers in the Asia Pacific region. His book 'Survivors', the result of a ten year project, was published in 2012. 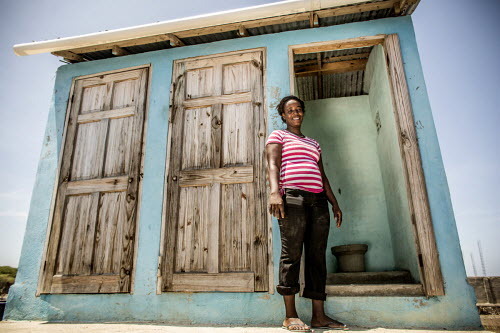 The proceeds from the book and subsequent exhibitions have gone to helping the subjects in the book set up small businesses to make them and their families self-sufficient. Akash has also served on numerous international juries at event such as the Friends of the Earth International Photo Competition (Netherlands), the Fine Art Photography Award (UK) and the Siena International Photography Awards (Italy). He has had solo exhibitions in Bangladesh, Germany, Belgium, Portugal, Italy, Switzerland, New York and Greece. He lives in Dhaka. Along the Jamuna River, one of the three main waterways that flow south through Bangladesh, regular flooding and heavy rains have led to levels of erosion along the riverbanks that even concerted efforts by the government to reinforce them with concrete blocks are unable to stop. 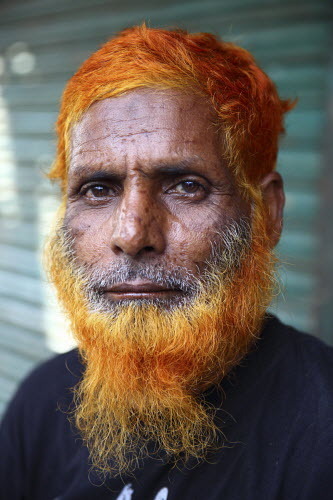 ‘I grew up with my ancestors having orange beards or hair. 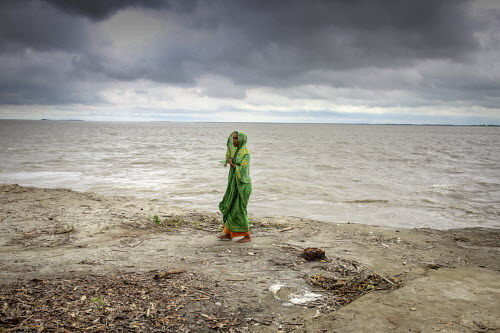 At least 275 people have been killed and millions have been displaced by cyclone Aila, which hit parts of coastal Bangladesh and eastern India on May 25th 2009. 800 women and girls live and work inside the fortress-like brothel in Faridpur, central Bangladesh. 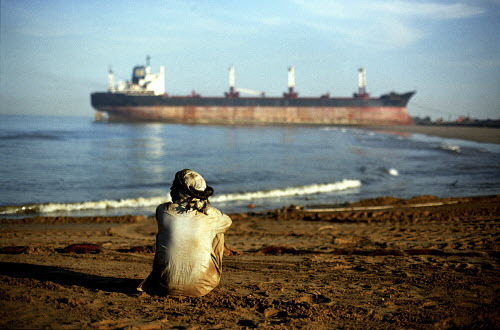 The funeral rites for the world’s largest ships are read on the beaches of the Indian subcontinent. Nearly three thousand kilometres of railway track crisscross the delta lowlands of Bangladesh, connecting Dhaka, the capital, with Chittagong to the south-east and Calcutta to the south-west. The Tazreen Fashion textile factory on the outskirts of Dhaka in Bangladesh produced cheap fashion for a number of major European retailers including C&A. 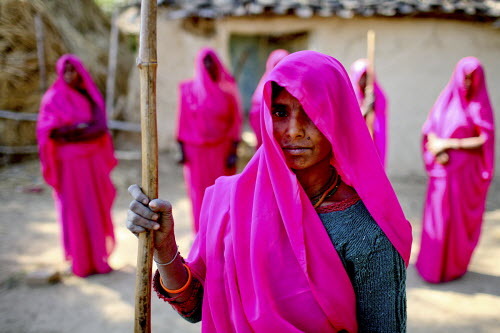 In one of India’s poorest districts in Uttar Pradesh, the most populous state, a remarkable movement of women has evolved over the past seven years which is challenging engrained power structures and bringing the concerns of some of the country’s poorest women to the fore. 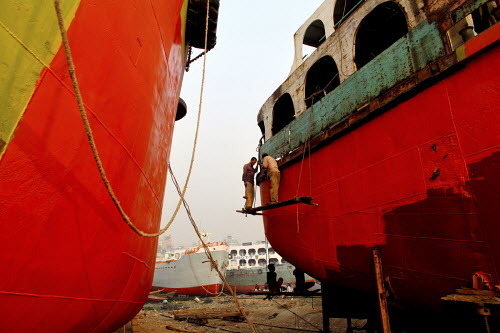 Bangladesh lies squarely in the middle of the waterlogged floodplains of some of Asia’s largest rivers and relies on water transportation to ship huge quantities of goods and vast numbers of people up and down the watery arteries that traverse the country. 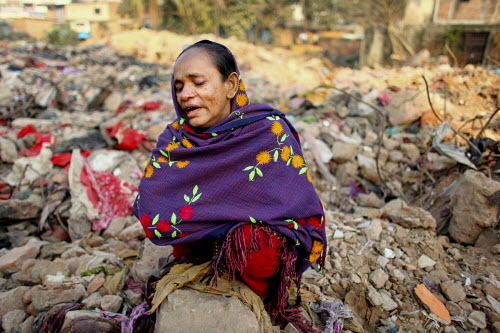 When search teams scouring the collapsed Rana Plaza in Savar on the outskirts of Dhaka in Bangladesh ended their efforts to find survivors among the rubble of the former shopping centre and factory complex, a shocking 1,127 had been confirmed dead in what has become the worst industrial accident since the Bhopal disaster in 1984. In a country where less than a quarter of the population uses the internet and where access is both slow and expensive, Bangladesh’s ‘Info Ladies’ offer a series of vital services to people living in remote, rural parts of the country. 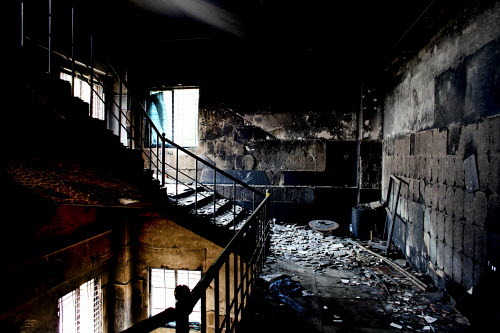 The catastrophic collapse of the Rana Plaza shopping centre and factory complex in Savar on the outskirts of Dhaka in Bangladesh in April 2014 claimed the lives of over 1,100 people, mainly factory workers employed in one of the numerous garment workshops. Bangladesh’s leather industry is worth over $ 1 billion a year and around 20,000 people are employed in the hundreds of tanneries operating along the banks of the Buriganga River in the southwest of Dhaka, the capital.